Original Equipment Manufacturers (OEMs) have outsourced their electronics manufacturing requirements to providers such as Teddington for generations. From procurement and assembly through to test and logistics – there are a whole raft of benefits than can add real value to your business and impress your customers. But handing over control of your electronics manufacturing to an outside provider can be a daunting prospect. There’s a huge amount of research needed to find the right partner and it’s not something that can happen at the drop of a hat. How can you be sure that you’re making the right decision and that you will receive a meaningful return on investment? 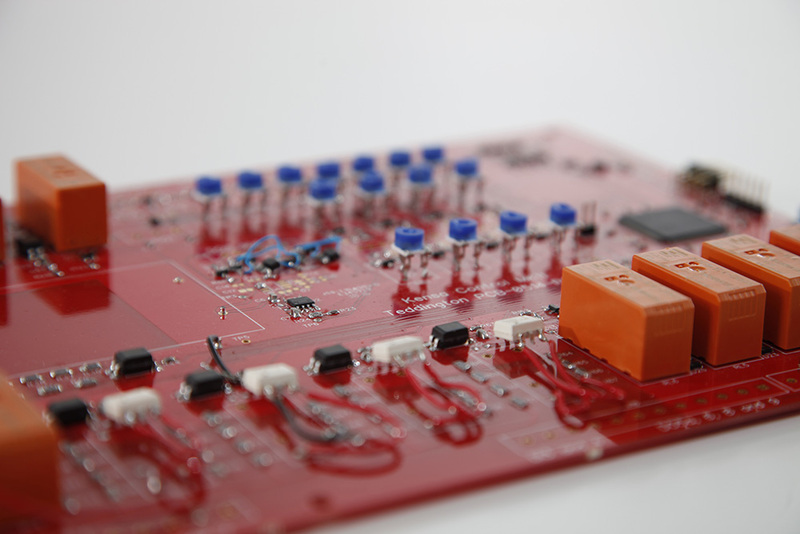 Teddington has years of experience providing Contract Electronics Manufacturing (CEM) and Printed Circuit Board Assembly (PCBA). In this blog, Production Manager Derek Pollitt looks at why switching from in-house manufacturing to an outsourced solution could make perfect commercial sense. OEMs that outsource electronics manufacturing aren’t limited by the four walls of their own factory. If they suddenly find that they need to increase production, they don’t have to worry about the expense of finding new floor space or go through the hassle of buying a new building. Concerns around how to meet rising demand disappear and resources can be concentrated on where it matters – allowing sales teams to focus on what they do best and shift more units without the risk of putting other parts of the business under greater pressure. All that’s needed is a CEM or PCBA supplier who has the capacity to accommodate their needs (both now and in the future). Investing in – and maintaining – equipment within an electronics manufacturing environment can be a time-consuming and expensive business. Thankfully, when OEMs outsource, that no longer remains a concern. The CEM provider will have everything in hand, ensuring that products always meet the highest of standards. In addition, OEMs no longer need to renew annual service contracts or start to prioritise customer orders if a machine breaks down or an employee calls in sick. Just be sure that the chosen CEM partner has the technical capabilities and capital equipment required. OEMs must remain one step ahead of their customers and evolve their products and services as markets and conditions change. Free from the distractions of the shop floor, MDs and Chief Execs can spend more time listening to what their customers really want – designing and developing new products and services that can help meet customer needs and drive new growth. Quite often OEMs are forced to hold stock ‘just in case’ they receive an order – taking up precious factory floor space and wasting considerable amounts money. Outsourcing can help reduce the physical amount of stock left collecting dust on the shelf. With the right service level agreements (SLA) and stocking policies in place with the CEM provider, outsourcing enables OEMs to react quickly to new demand as well as ‘controlling the flow’ when things tail off. By working closely with the supplier and agreeing the details of an appropriate SLA, OEMs should be able to offer a much more competitive lead-time to market ahead of their competitors. Despite ongoing efforts, attracting new talent into electronics manufacturing remains a challenge – not to mention the extra time and cost of training existing staff. But when you outsource, this responsibility is transferred to the CEM provider. Virtually overnight, OEMs have immediate access to a rich pool of talent that covers a range of disciplines – from production and engineering through to purchasing and customer service. Teddington has years of experience providing CEM and PCBA services to OEMs. Find out how we can help meet your electronics manufacturing requirements by contacting us today. Derek Pollitt, Production Manager at Teddington - connect with me on LinkedIn.